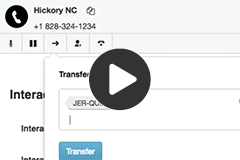 Type in the number you want to transfer the call to and press Enter, or start typing the user, external contact, or queue that you want to transfer the call to. 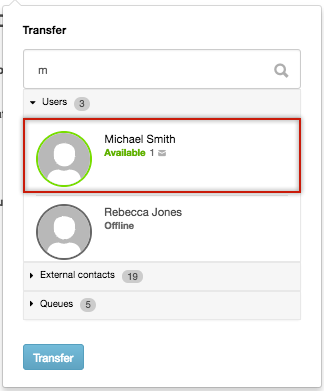 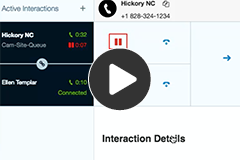 If you are transferring the call to a user, external contact, or queue, select the user or queue from the suggestions displayed. 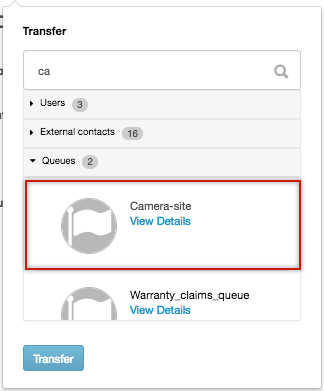 Select the user, external contact, or queue from the suggestions displayed.